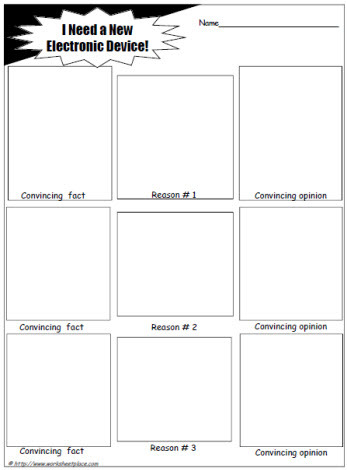 This persuasive writing graphic organizer requires the learner to be convincing about why they need an electronic device. This is a motivating worksheet for persuasive writing. What kid today doesn't want an electronic device? Persuasive writing is required is most standardized tests, when kids are motivated to write, their writing skills naturally improve.